Shipping a car can seem stressful. It is hard not to worry when you hand over your vehicle to a company you have never dealt with before. It can be even harder if this vehicle is an exotic car. Very few people can afford to buy an exotic car and to own one is a great luxury and something to take pride in. When you need to ship such a car, you want to be sure you get 100% safe service, so your car will arrive in perfect condition. Fortunately, there is a service like that: exotic auto transport. If you’re looking for assistance with Philadelphia exotic car transport, you are in the right place. Our company has helped many people shipping their retro and sports cars. This means we have a lot of experience working with exotic vehicles. Also, we are a team that knows how to take care of an expensive car when shipping it across the country. Our clients can rely on us because we take care of every detail to make sure the auto transport goes as planned without any hassle for our customer. 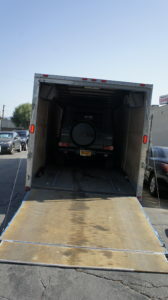 For our Philadelphia exotic auto shipping, we use enclosed trailers. Enclosed auto transport is the most secure method for car transport. Your car will be protected from dirt, dust, and weather by the trailer’s walls and arrive at the point of the drop-off in the same condition it was picked up. It will also be on our car carrier’s insurance. Philadelphia Car Transport provides the highest level of safety for each vehicle we ship. Contact us today and get free quotes for your exotic auto transport. Furthermore, free estimates can be requested online on our website or over the phone. Our Philadelphia Car Transport team will be happy to ship for you!